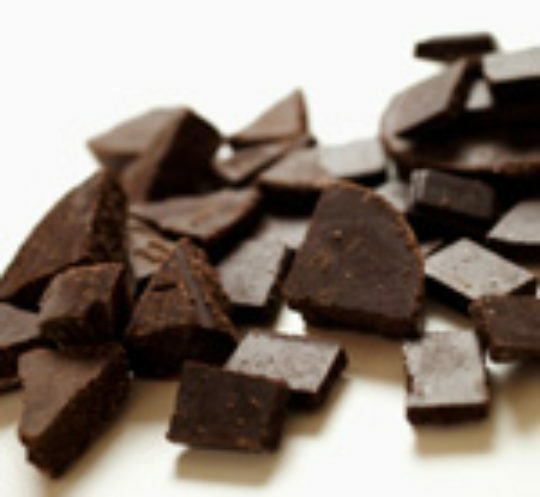 This recipe is perfect for Valentine's Day and will fulfill all your chocolate cravings with heart-healthy ingredients. Line a 9-inch square baking pan with parchment paper; coat with cooking spray. Weight or lightly spoon flour into dry measuring cups; level with a knife. Combine flour, sugar, unsweetened cocoa, baking powder, and salt in a large bowl; stir with a whisk. Combine cherry preserves, water, and butter in a small saucepan; bring to a boil. Add preserves mixture to flour mixture; stir well. Add egg and egg white; stir until smooth. Stir in semisweet chocolate chips. Scrape batter into prepared pan. Bake at 350°F for 25 minutes or until a wooden pick inserted in center comes out with a few moist crumbs. Cool in pan on wire rack.